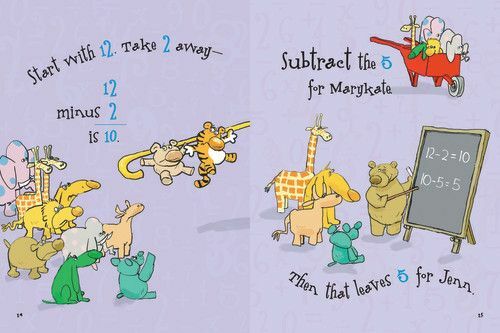 The author and illustrator of the best-selling Words Are CATegorical® series brings their trademark sense of humor to the subject of subtraction. 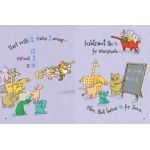 Rhyming text filled with funny, countable examples shows what it means to take one number away from another. 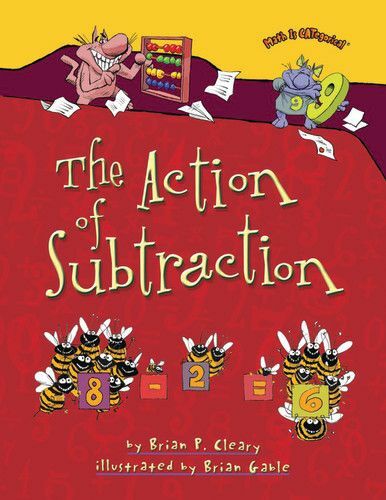 Readers are also introduced to the terminology they'll encounter as they learn to subtract. 32 pages. 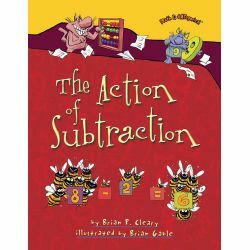 By Brian P. Cleary, Illustrated by Brian Gable.